HI GUYS! Remember when I had time to take photos, and Husbands who also had time to take photos and I told stories and made stuff and the blog thrived and we laughed and were happy with stuff?! YAY, nup, neither do I!? 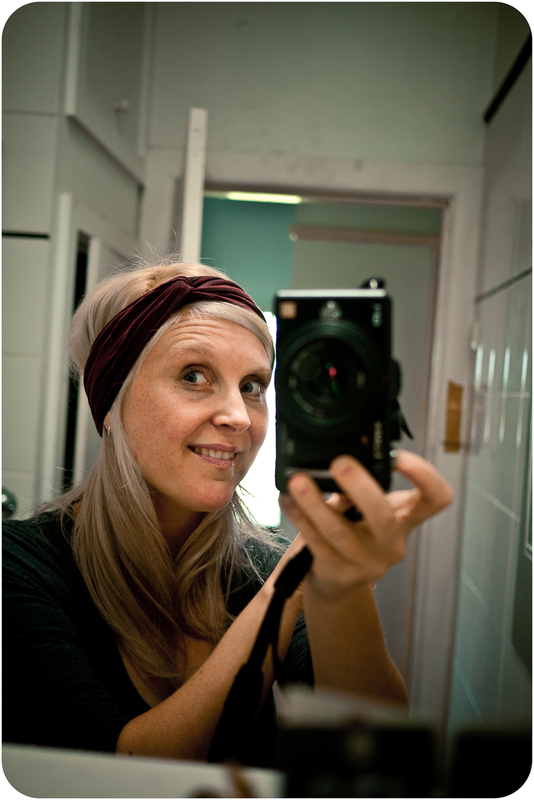 I'm literally forcing myself to take photos again of the things I make... and thus a HAIRBAND SLASH TURBAN. This babe blogger Robyn posted a tutorial about making a headband turban, and I really wanna make a lot of these... they're so easy to make up! I had some leftover stretch fabric, and literally put it together in 5 minutes. Riding your bike in Melbourne in autumn sometimes means your ears get cold! Solution: sassy headband turban. I didn't even stitch the raw edges down and it looks amazing. I also haven't been feeling 'photo friendly' of late as I have THREE coldsores on my face ... they're starting to clear up now... but THREE?! That's a festival of coldsores! MORE than a party of two. But today I visited the hairdressers, so feel moderately normal enough to show my face around here. The comedy festival has one more week to go, and then I'll look a little less tired as well (oh those late night comedy shows full of LOLZ) so hopefully I'll pop by again soon... I've started taking my camera (the good one, not just the iphone) around with me also, so I hope to get some good photos up soon! Va va voom! Who'd notice stuff on your face when your hair looks amazing! I love it longer and that nice colour! Cold sores = run down immunity. I know you know that - try and rest a bit too! 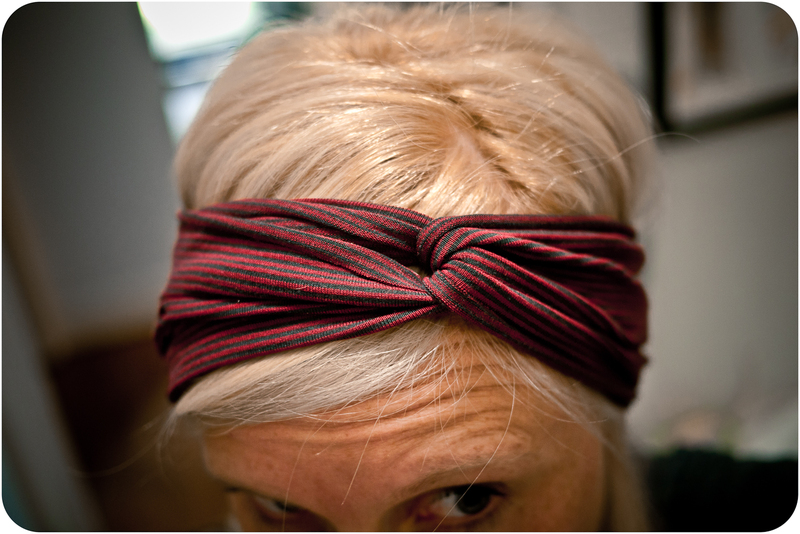 Cute hairband! Your hair is getting long and looks lovely. Super cute! Your hair looks amazing! very cute, i love the way it drapes your hair around your face! So cute! Looks amazing on you. Love it V! I'm totally going to make one/many. 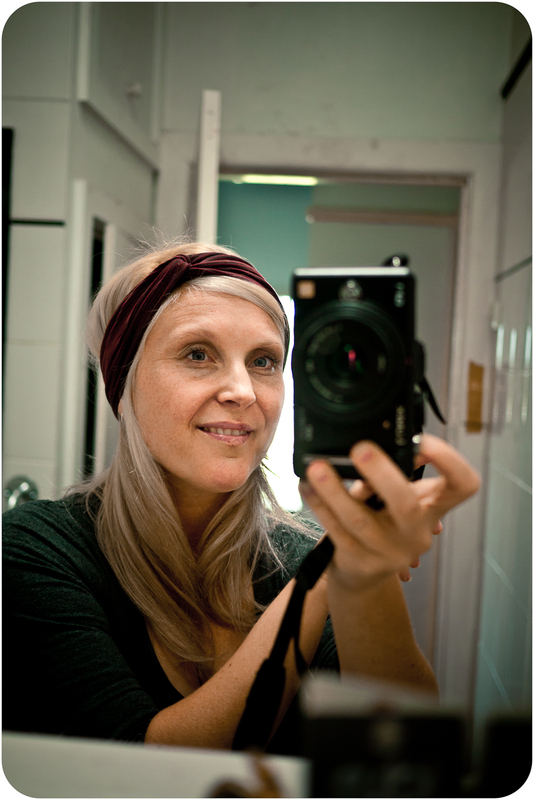 LOVE the headband! I would love to learn how to make one!